The University is now using Pure research management system for recording all research outputs, which are then showcased via the Macquarie University's research portal (https://researchers.mq.edu.au/en/). Please go to https://staff.mq.edu.au/research/research-hub for further information. Researchers are able to add or import their own publications into the system, and as part of that process, attach the author manuscript (version of paper after peer review, as it was accepted for publishing by the journal) to the publication record in the system. Adding the author manuscript enables the Library to make research publications Open Access as allowed by publishers’ policies, so this step is very important. Making publications openly accessible for download (Open Access) increases the impact of Macquarie’s research on wider audiences and helps increase citation rates for our researchers. Please see this guide for further information about uploading author manuscript version into Pure. producing a LibGuide to disseminate information. In addition, the Library judiciously uses the Book Vote (Budget) to fund selected Open Access initiatives. Currently the Library supports the following initiatives: Knowledge Unlatched; ArXiv; SCOAP3, DOAJ and SHERPA/RoMEO. Macquarie University Library does not deem Article Processing Charges (APCs) to be a satisfactory approach to address the issues facing subscription budgets and therefore does not support APCs. We do not wish to change the point of payment, but seek to change the business model. We encourage support for Green Open Access publishing which enables us to meet the mandates of research funding bodies. It is recognised that traditional subscription models with significant annual price increases imposed by publishers cannot be sustained indefinitely. As such, the Library wishes to support new initiatives that seek alternative models that will help sustain the publishing of scholarly communications. We are also interested in further investigating the viability of funding supply side partnership models that enable Open Access such as the 'crowd unlatching' initiative, Knowledge Unlatched. To provide equitable, world-wide access to the scholarly and research output of Macquarie University. Scholarly research is one of Macquarie’s most important contributions to society. The free exchange of information is a bedrock academic value, one that is supported by taking an open access approach to the dissemination of the outputs of scholarship and research. 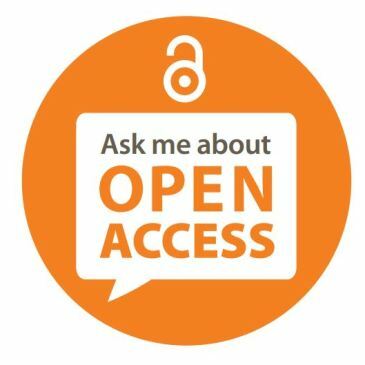 An open access approach means that these outputs are made available online and world-wide, free of charge and free of most other access restrictions. This approach supports the fundamental principles of the Macquarie University Ethics Statement and the Senate Statement on Academic Freedom. The open access approach also enables Macquarie University authors to meet the requirements of funding bodies, e.g. Australian Research Council and National Health and Medical Research Council, to make the results of their research publicly accessible. The outputs of scholarship and research are collected as part of the University’s research management processes. These outputs will now be stored and made accessible through the Macquarie University Digital Repository - Macquarie University ResearchOnline. In addition to maximising access to Macquarie research, this policy also supports more effective storage of these outputs in perpetuity and assists in promoting Macquarie’s research around the world. Does the proposed initiative/business model encourage new cost or access models or enable redirection of expenditure as an alternative to current subscription/firm order models? Does the proposed initiative/business model provide an innovative approach to progress the availability of Open Access resources? Does the proposed initiative/business model increase Open Access to resources relevant to Macquarie University’s Research, Learning and Teaching needs? Check out our Open Access blog - a one-stop shop for information about Open Access at Macquarie University. Here, you’ll find information about our events, as well as blogs from our librarians with helpful information about open access.